Repairing chains in the field should be confined to replacement of complete links or sections. Replacement of individual components for example pins, bushes or rollers is not generally recommended. This instruction therefore is limited to removal and replacement of connectors. Chains are manufactured with pins and rivets of various constructions depending on the class of chain including for example, offset sidebar (style B)or straight sidebar (styles A), Engineering Class chain, Welded steel chain, Cast link and combinations chain, forged chain and steel pintle chain. It is not recommended to alter standard press fit chains especially the removal of press fit components and their replacement with alternatives since this will undermine the integrity of the chain construction. 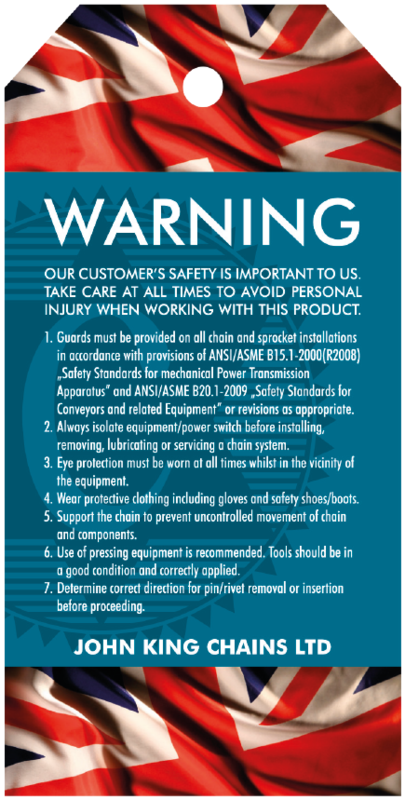 Care should be taken at all times when working on conveyor chains.